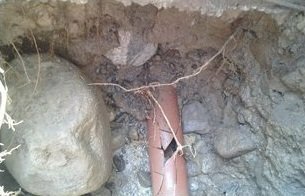 As a sewer replacement contractor NJ we are increasingly turning to trenchless sewer repair techniques as an alternative solution to sewer excavation for intensive sewer repair services and sewer pipe replacement jobs. Trenchless sewer repair uses limited access points, allowing for replacement pipes, pipe lining, and other solutions to broken and damaged sewer lines, without the need to dig and expose a pipe. However, in some cases, repairs or sewer installation will still require fairly extensive sewer excavation in NJ, a technical term for the process of digging to remove dirt and other materials to access the sewer line. At A1 Sewer & Drain, we provide sewer excavation services for residential and commercial sewer pipe repair, sewer line replacement and installation, and other related services. 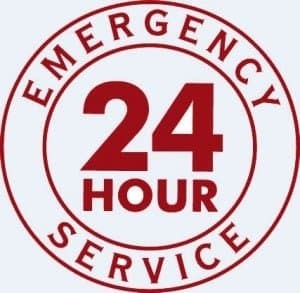 To find out more about sewer repair in NJ, and whether you may need sewer excavation, call us anytime at 201-645-0888. 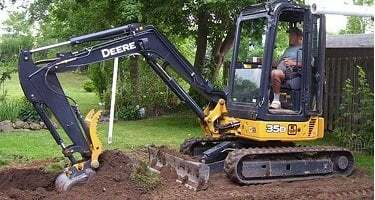 Sewer excavation in NJ means that we will need to use digging equipment to remove and displace large amounts of soil, sand, and gravel, giving us full access to buried sewer lines. This process may inhibit sewer service for a day or two during the sewer repairs in NJ, and after the dirt is placed back over the pipes, it will need to be left alone for around six months before you can plant any new trees or shrubs. This helps keep the soil stable after NJ sewer excavation and repairs. Although sewer excavation is sometimes needed for sewer repairs, it’s almost always a factor when installing any new sewer lines on NJ properties. First, we’ll measure the length that the new sewer lines will need, inspecting the area’s slope and elevation to determine the best way to install the new pipes to prevent clogging and avoid areas with unstable soil. Next, we perform calculations that will dictate the pitch for the new sewer pipes. By subtracting the elevation of the start and end points of the sewer line from the length of the pipe, we determine the drop per foot. We need to ensure that the drop per foot doesn’t exceed ¼”, so that solid materials and liquid wastewater will flow at the same rate. This prevents the newer sewer pipes from clogging over time. Then, it’s time for the actual sewer excavation. We’ll dig a trench, removing loose dirt along the bottom to create a smooth, flat surface on which to lay the new sewer pipes. On some NJ properties, we’ll also add some sand to prevent the pipes from buckling downward into soft soil. After the sewer excavation and the preparation of the trench, we’ll lay the new sewer pipes along the bottom. After installation is complete, we’ll cover the top in sand or gravel, then replace the excavated soil. If you need sewer installation, sewer repair, or sewer excavation services in NJ, give us a call anytime at A1 Sewer & Drain, at 201-645-0888. 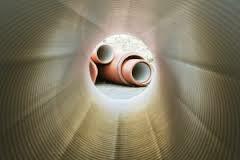 Our NJ sewer contractors are always available to talk to you about your NJ sewer repair and installation options.